I once had someone come up to me and tell me to, ‘stop being so ungrateful and be thankful for the life I have’ after they had heard that I was struggling with depression. Rather than shoot back at her with the venomous words my brain scrambled together through a million thoughts a minute, I stood there in shock and quietly walked away, feeling my heart sink with every step I took. As a teenager I felt so alone in my struggle, believing that I was the only person that was facing these inner demons, fighting alone in silence. There were moments that I felt so burdened by my own problems that I fought back thoughts to end my life. Why is it that I was so afraid to speak up and get the help I truly needed? Looking back at my past I realize now that it wasn’t naivete as I had initially thought but instead, fear—fear of being judged, mocked, isolated. There has always been such a stigma on mental illness. It was such an ugly word, a yucky topic to talk about. It was so easy for others to tell me that it was ‘just a phase,” simply just “a part of growing up,” or that my problems were “too small to be worried about.” But to me, these issues were not small but rather, mountainous, crippling me from doing things that my peers were doing, holding me back from enjoying my teenage years. As time passed, I learned to allow the power of my favorite songs to carry me through obstacles during high school and college, allowing me to take everything day-by-day and move forward one step at a time Despite the obstacles I had faced, I persevered, all thanks to my passion for music. While the term ‘persevered’ itself may sound harsh, those struggling with mental illness deal with the harshness of the world around them who just don’t understand their battles. Music was the escape from everyday judgment and ignorant comments from those around me who simply did not understand my mental illness. Concerts allowed me, even for just a few hours, to feel like everything was okay. 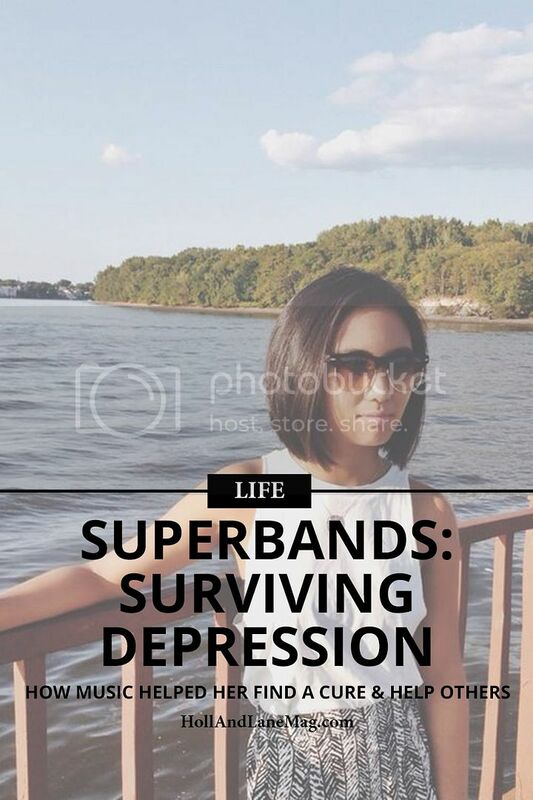 For more information about Superbands, please visit our website at superbands.org as we prepare for the launches of new campaigns and online resources.